For today’s fast-paced and diverse workforce, workplace flexibility is a crucial element for success on and off the job and employers who recognize this new and profound reality are a step ahead of the competition in recruiting and retaining high performing talent. A forward-looking and important benchmark resource for organizations, business leaders, and employees, this account provides comprehensive and in-depth information on how to implement a flexible workplace. 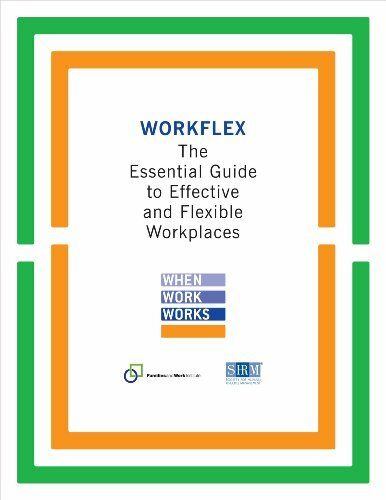 It is filled with examples, how-to information, advice from experts, and tools to help employers and HR professionals set up and maintain flexible work arrangements that help meet their needs and the needs of their employees.